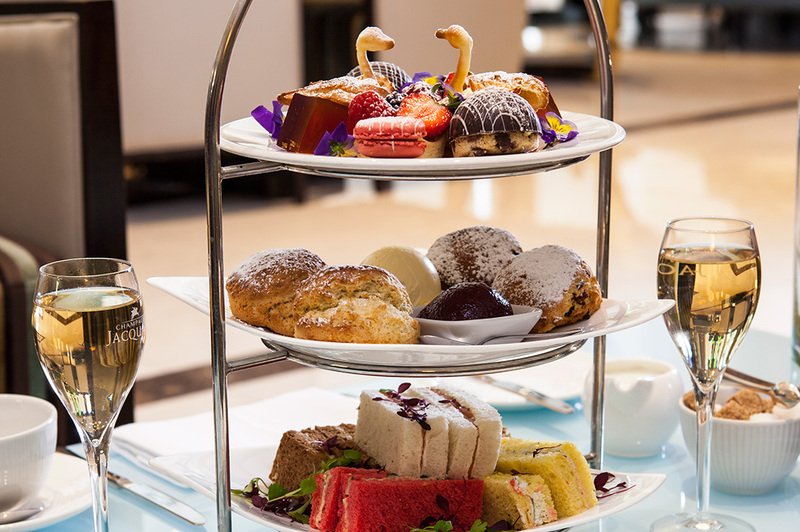 We are delighted to be one of London's finest afternoon tea establishments. Our quintessentially English afternoon tea is served with the finest bone china crockery and a tiered cake stand full to the brim with mouth-watering finger sandwiches, scones with lashings of whipped cream and jam, cakes and sweet biscuits. Served with premium JING loose teas, or accompanied by a glass of bubbly, it really is an experience every guest just must indulge in. Tea for two? Delicate finger sandwiches, homemade scones with whipped cream and strawberry jam, all served with a perfectly blended cup of JING loose leaf tea. A tiered cake stand full to the brim with delicious cakes, finger sandwiches, homemade scones and sweet biscuits, all served with a perfectly blended cup of JING loose leaf tea and an effervescent glass of bubbly. The 'Teddy's Tea Time' menu is specifically for kids to enjoy their very own Afternoon Tea. Served with a variety of delicious sweet treats including; chocolate dipped fresh fruits, flavoured ice-cream, pastries and cakes and an iced fruit cordial. Children will take home a complimentary Montcalm teddy bear to remember their very own Afternoon Tea time at The Montcalm London Marble Arch.